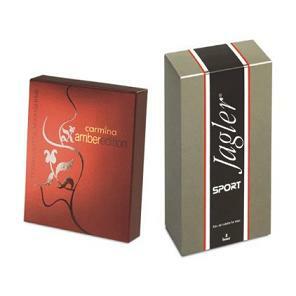 Cosmetic Packaging Boxes are essential part of any compaigne for selling Cosmetic Products online or on the shelf. Amazone and other online retailers require proper certified Packaging for cosmetic products before approving or accepting Products. We are a certified Custom Cosmetic Boxes production factory and have many different sizes available with foiling, embossing, spot Uv and other custom print options. Fill in below form to get instant Price Quote. Standard Size: 1.5"x1.5"x4.5". Also available in any other custom size with flat size within 23"x36"
Our Cosmetic Boxes comes in Reverse Tuck End (RTE), Straight Tuck End (STE) and Auto lock bottom styles. Standard die-lines are available for download on the product page but if client wants to provide their own custom die-lines, we can use those as well in the same price package. Different sizes are available for Cosmetic packaging boxes but most common sizes are 1.5"x1.5"x4.5", 1.75"x1.75"x5.75" and 1.375"x1.375"x3.375". Our Custom Printed Cosmetic Boxes are made out of 18pt C1S (0.018" thick) card stock which industry standard for cosmetic packaging boxes. Quality Offset printing method is used to print on these boxes and in-order to achieve best printing results, high resolution artwork is required at minimum of 300 dpi resolution. Vector artwork is preffered but customer can provide artwork in any format. Proofing is usually done by sending the jpg layout proof to client along with 3D view of the box to show how the box will look like once printed. White or printed Hard copy samples can also be requested before full production run to check stock and print quality but there are extra charges for these. Our Cosmetic Packaging Boxes are fully certified with industry standards and are approved for Amazone and other online retailers. Our Quality team check the standards of each order before dispatching to customers and are produced according to the guidelines issued by online retailers. 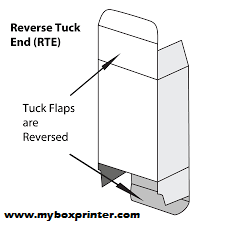 In RTE Style, Tuck Flap on the top closes on the front of the box while the bottom flap of the boxes closes on the back so the flaps are reverse to each other that is why these boxes are called RTE Boxes. 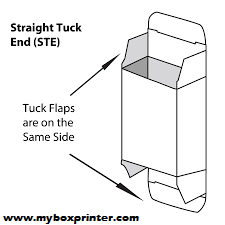 In STE Style, Tuck Flap on the top closes on the front of the box while the bottom flap of the box also closes on the front so both the flaps are straith and not reversed. In Auto-lock bottom style, the bottom of the box is already assembled and pasted in a way that the box can ship flat. The little flaps at the bottom are pasted and the locks are build with the help of cutting and perforation die rules in order to form auo-lock mechanisim. These style boxes are very easy to assemble and require minimum time at assembly line. 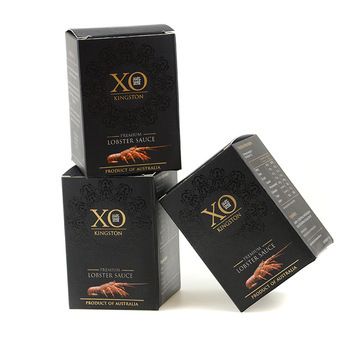 We also have the capability to do Spot UV coating on the Cosmetic Packaging Boxes. Foiling, Embossing and raised ink options are also available. We can also design your Cosmetic Packaging boxes with custom die cutting and window cutout on front or back. Cellophane option is also available on window. You can pack numerous Cosmetic items in these Custom Printed Cosmetic Packaging, like Face Wash, Retional Serum, Eye Shadow, Eye Gel, Vitamin C Serum, Hylcronic Acid Serum, Lip Stick, Lip Gloss, Lip Pencile, Mescara, Body Oil, Beard Oil and all other kinds of Cosmetic Products. Our Custom Cosmetic boxes are designed in such a way it has detailed information about the product which is packed in it. To increase the presentation of the cosmetic or beauty Product, our team of professional designers give them an attractive look with full details. Our Box printing services provides the best designing and artwork facility to our valued clients totally free of cost. We ordered our cosmetic packaging from this company and everything turned out great! Quality thick stock and high gloss boxes. Customer service was great and up to the mark. We Will be ordering a lot more in future! We found myboxprinter.com a very reliable source for cosmetic packaging. We had a lot of beating from our previous vendor. I was lucky to find this company, every time I order, I get quality product and right on time. I placed many orders with them and will keep on ordering! We are a Skin care products company and order lots of packaging over the year. 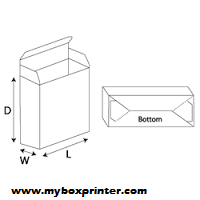 We were very happy by the quality of work offered by myboxprinter.com. We use to pay a lot for print jobs and desinging services but this company is offering Free desinging services along with quality printing job. Nice work! Keep it up.